We'll tell you instantly when something exciting happens. 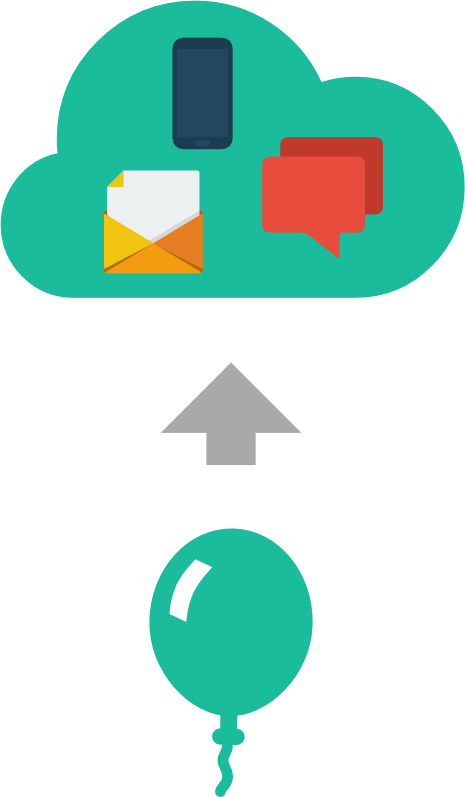 Alerts for traffic spikes, delivered by email, text, or phone call. Want to know immediately when someone big links to your site? If you released something you're proud of, like a blog post, an album, or an app, Swell will let you know when people are taking notice. 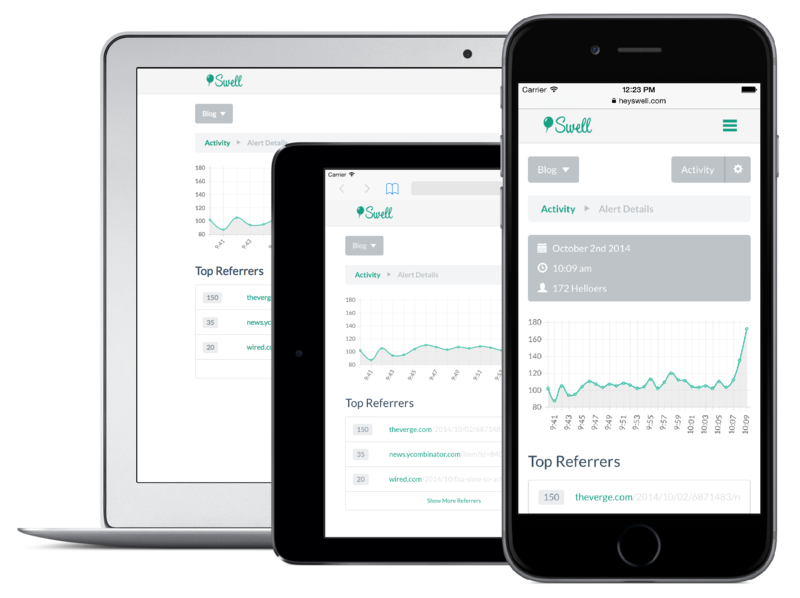 Swell constantly monitors your site and lets you know by email, text, or phone call, as soon as the number of people cross a custom threshold. Want to know more than the moment your traffic spikes? Find out how many people are on your site, right now. See where people are coming from, and what they're excited about. Know what your traffic looked like leading up to each alert. With Swell, you'll never miss the most exciting moment of the day. Request an invite.